The H560 features its high quality indicator that displays the temperature and relative humidity at the same time. 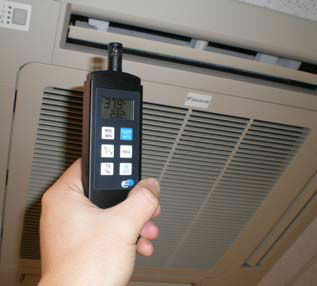 This device also measures the dew point temperature and best environment for taking measurements in ambient conditions. It is a cost efficient solution to the daily maintenance operation. The device is equipped with 2 batteries which are AAA and 1.5 voltage. 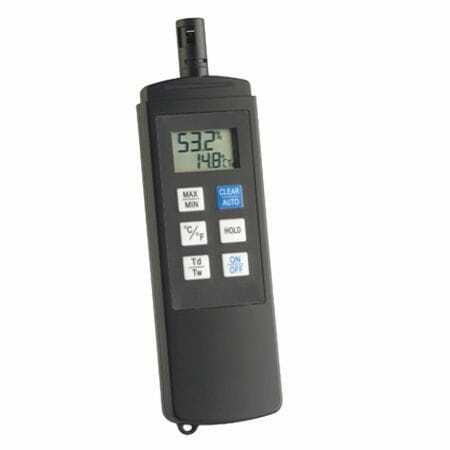 It can be used for the measurement ranges from -40 °C up to the maximum of 70 °C and from 0 up to 100% RH.